Planned over six floors, this new upper-mid market hotel will provide 142 guest rooms for business and leisure travellers. Located on a major junction on the Great West Road, the hotel is designed as a landmark in the regeneration of this long established arterial route. It is situated in close proximity to Heathrow with good transport links to central London. 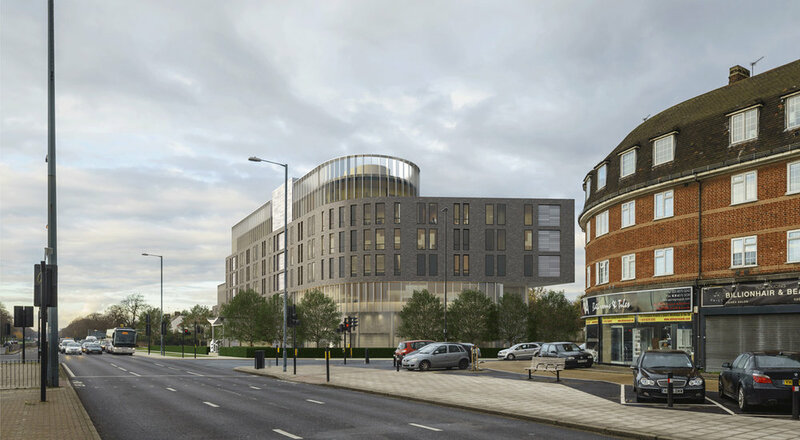 London Borough of Hounslow have given their in-principle support for our scheme, which sets a high design standard for a site with a troubled planning history.